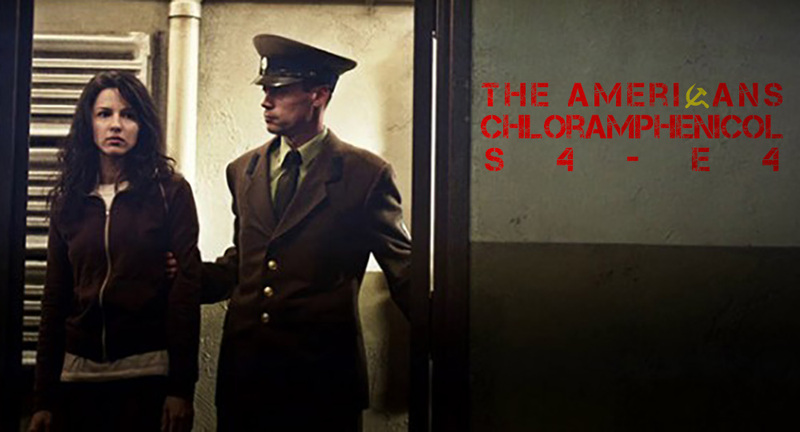 Chloramphenicol was an emotional rollercoaster of an episode for The Americans. 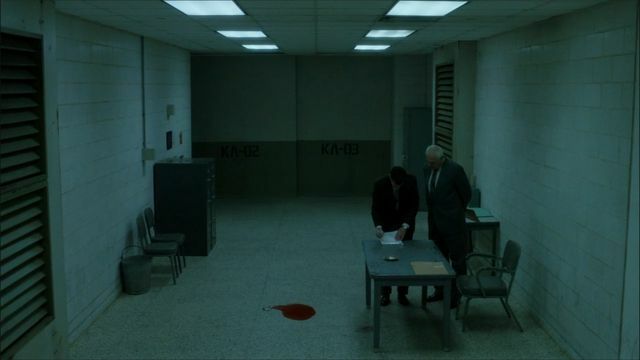 Named after the antibiotic, Chloramphenicol, that the Jennings are taking to (hopefully) keep them from getting Glanders, this whole episode seemed to be about being on the edge of getting caught. Unfortunately, not everyone made it out alive. The story opens with Elizabeth making a few phone calls from a payphone outside while William nervously looks on. She calls the center to call of the hit on Pastor Tim and his wife, and she call Paige to let her know they had to go out of town. Paige freaks out thinking that this is about her telling Pastor Tim. If only it were that simple. After the phone calls, William cuts of the phone handset with bolt cutters, and whites down the phone with alcohol… This scene has drawn up some uneasy feelings of my youth as I remember all the payphone I would see growing up that were “vandalized” in that manner… could their be infected Soviet spies everywhere? 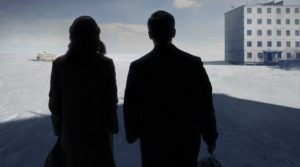 Phillip, Elizabeth, William and Gabriel spend most of the rest of the episode in their self imposed quarantine waiting to see if they have caught the disease, and if Gabriel will succumb to it. This gives us some much needed reflection as the group questions their allegiances, and their chosen profession. Elizabeth starts to get sick, and no one can tell if it is a reaction to the antibiotics, or the weaponized disease. (I had a tooth infection recently, and I can tell you, amoxicillin gives me the hershey squirts). While sick in bed, Elizabeth dreams of her mother, and tells Phillip that if she dies, he should take the kids and “live as Americans”. It was a touching moment. 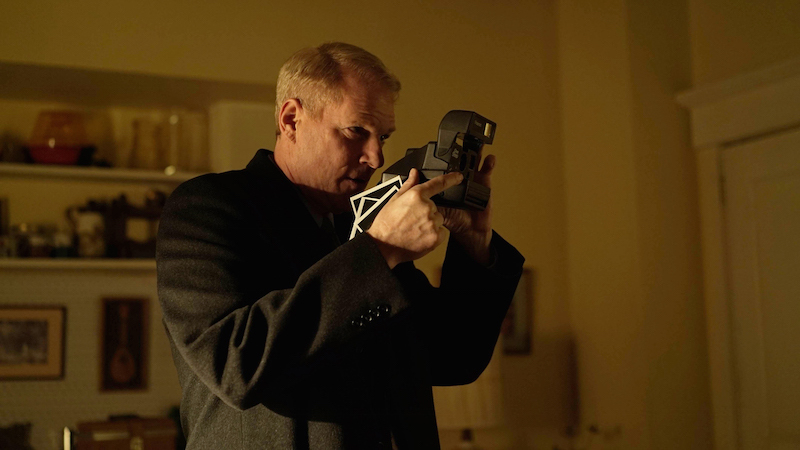 Martha is asked out, and goes out with Agent Aderholt. She has picked up that this might be a ruse, and tries to call “Clark” for some pointers. Unfortunately, he is busy being quarantined. Martha was right to be suspicious because Stan searches her apartment while she is at dinner. In a brilliant move, Martha goes on a rant about how she is seeing a married man, and it is “Probably the Most Honest Relationship I’ve Ever Had”. The almost confessional story she gives agent Aderholt perfectly explains her sneaking around, and acting suspicious, as well as explains the condoms and Kama Sutra book that Stan finds while searching her apartment. Back in the USSR, Oleg is dealing with the aftermath of his brother dying in Afghanistan. His father tries to get him to stay in the Soviet Union. Now that his brother is gone, the family needs him. Oleg doesn’t want to, but his father tries to bargain. He asks Oleg if he will stay if the father can help Nina. Oleg agrees. We next see Nina with Anton. They have plane tickets, and are heading out of the compound into the Siberian snow. It seems so pretty, so soft, so quiet, so dreamy. Of course that is what it is. Nina wakes up in her cell. Some guards come in to tell her she is being transferred. They grab her belongings and learn her to a room where an official looking man tells her her appeal has been denied. Her sentence stands. She will be executed… shortly. And by shortly, they mean right then and there. Nina barely has time to react before she is shot in the back of the head. Nina collapses on the floor, and a couple guards come out to collect her body into a trash sack as the other officials do the paperwork that must accompany a gulag execution. After 4 seasons, Nina’s death was tragic. It was heartbreaking. It was real. And that is what we have come to expect from The Americans. Real. As Glanders started off the 4th season of The Americans with a simmering tension, Chloramphenicol (the antidote to Glanders) was fittingly about death, and about the pressure of being on the verge of being caught. Paige almost broke under the pressure. Martha showed strength under pressure. Elizabeth and Phillip (along with William and Gabriel) narrowly avoided death. And Nina, poor Nina, she met her end in a way that was as cold, and unfeeling as the Siberian gulag she was in.